There were huge numbers of Marsh Fritillary (Eurodryas aurina) butterflies flying about in Galicia (north-west Spain) when I visited the province in late April. Many of them were feeding on a white umbelliferous plant which I did not recognise at first. Only later, did I realise that what the butterflies and other insects were so attracted to was one of the most poisonous plants in Western Europe! 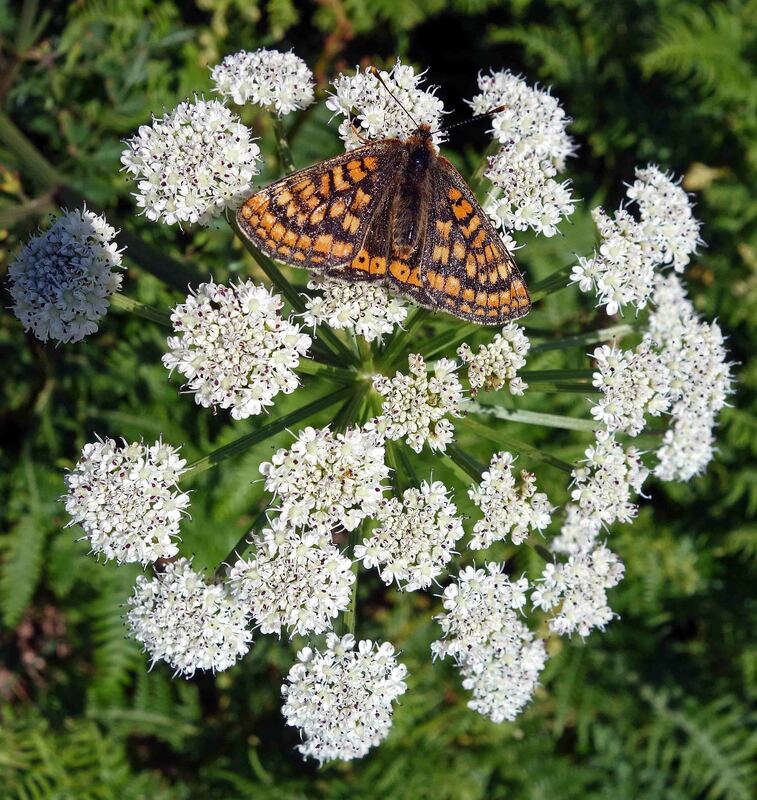 This attractive member of the carrot family (Umbelliferae) is Hemlock water dropwort (Oenanthe crocata), which contains the deadly poison oenathetoxin. 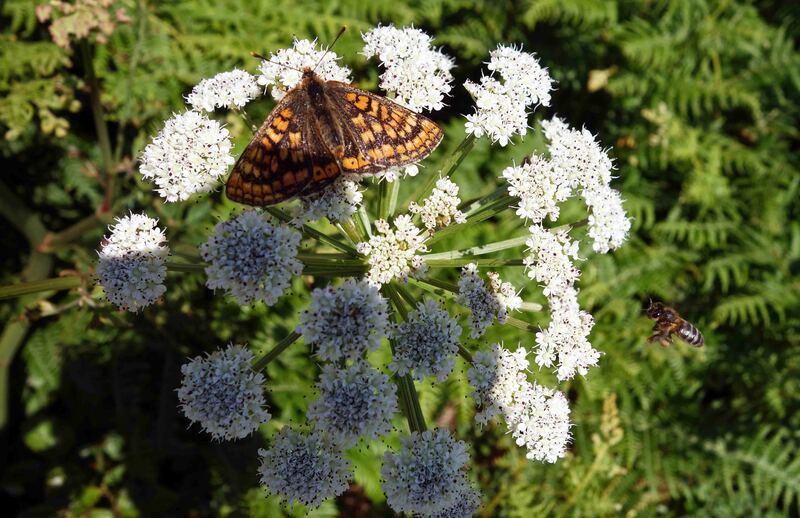 Only very small amounts are sufficient to cause death, but the toxin is mainly in the leaves and parsnip-like roots, so presumably the nectar which was attracting all the insects – bees as well as butterflies – is safe to drink; at least if you are an insect! If you were so unlucky as to consume this poison – and dogs, cattle, horses and some poor people have done so – you would die with a smile on your face; the poison causes a deadly grin on the face of the deceased. Makes me shudder just to think about it! Luckily insects don’t read the Internet and just get on with their lives, feeding on this plant in ignorance of the deadly toxins stored in its roots. Previous Previous post: A carrot by the sea! Next Next post: A splendidly shiny beetle! 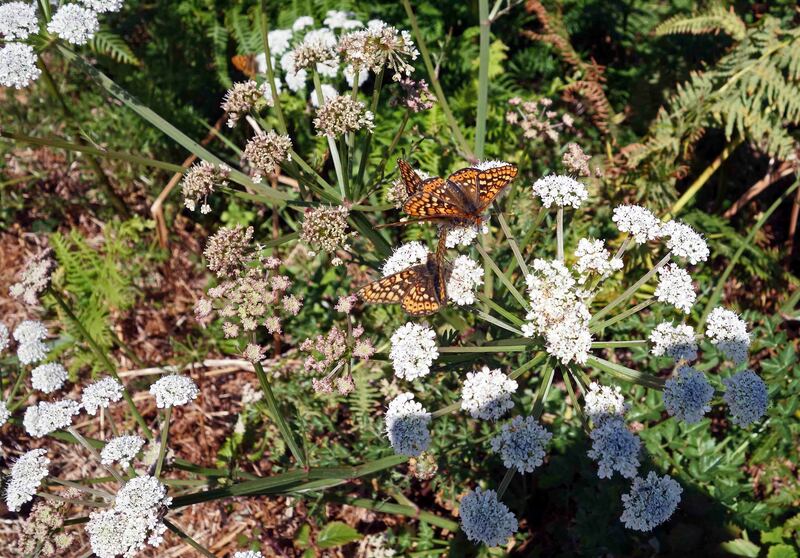 Ray Cannon's nature notes Feeding on hemlock!